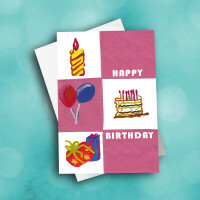 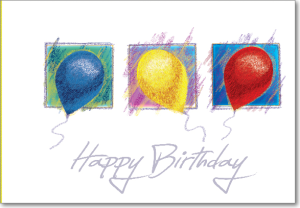 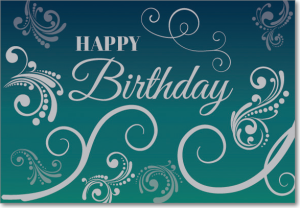 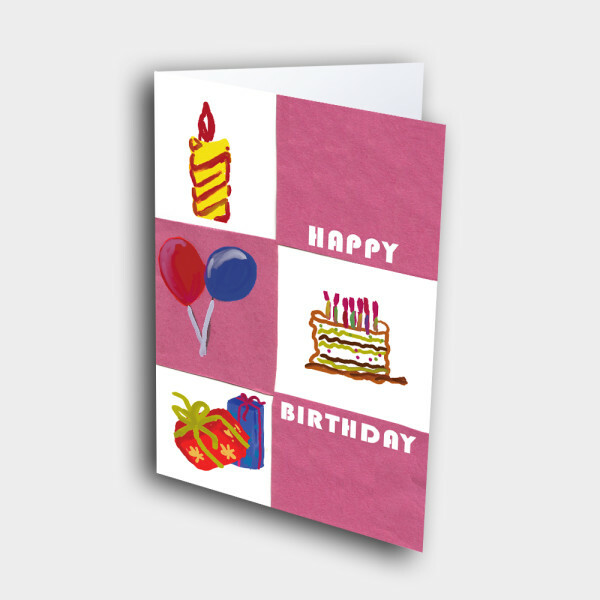 A classic, artistic birthday greeting card to wish someone on their special day. 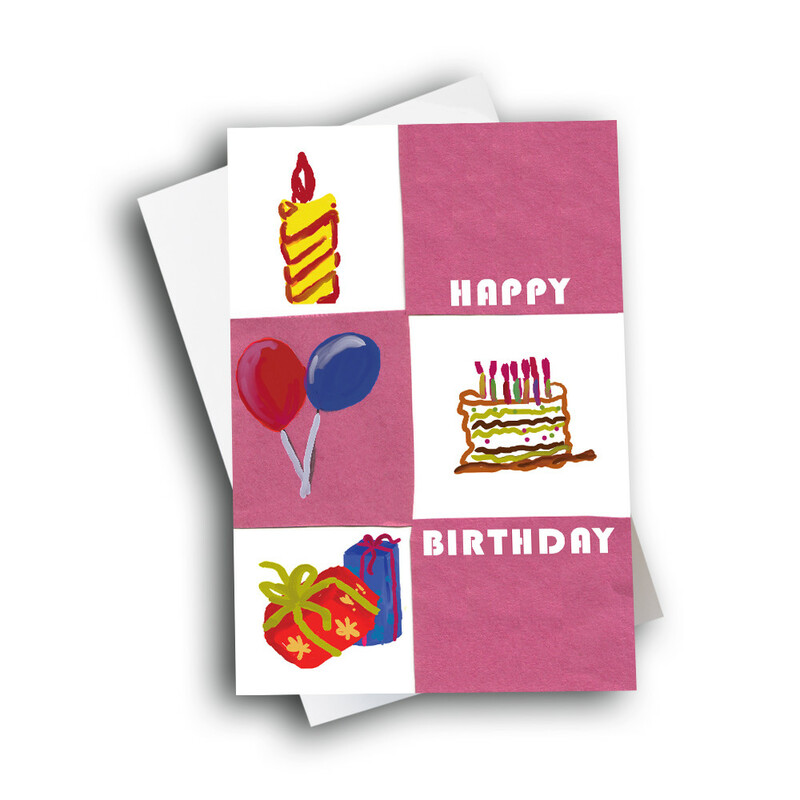 Whether it’s for your employees or your friends, this sweet and simple birthday card is sure to be ideal. 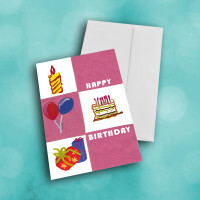 The front is decorated in a white and purple checkerboard pattern. 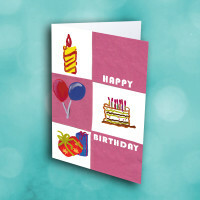 Each square holds a different design, from a candle to balloons, gifts, cake, or the birthday greeting. 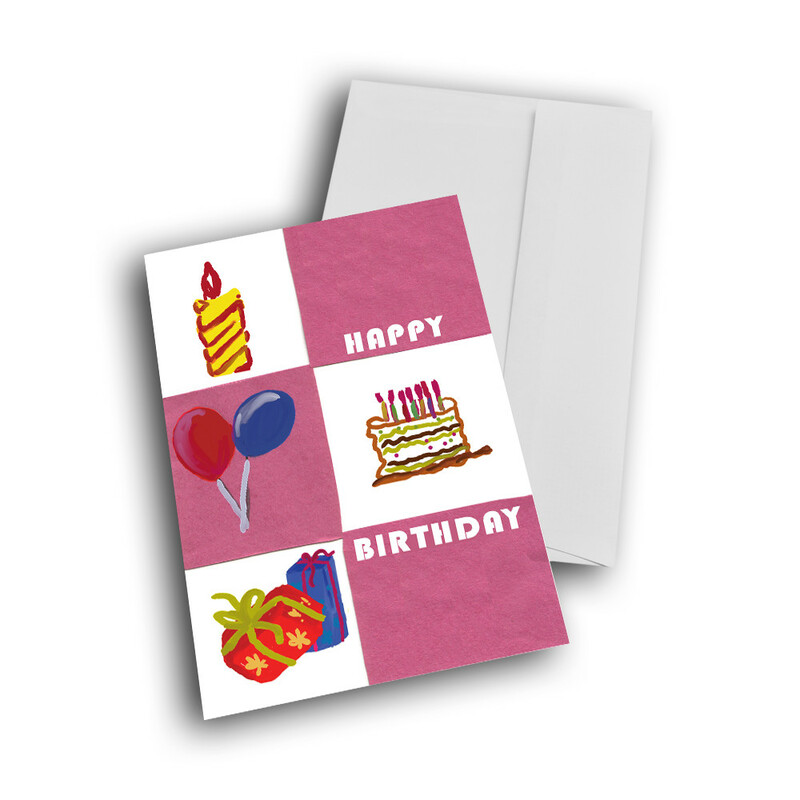 Personalize the card by adding a custom message inside.